After a pulsating double header on Wednesday, the action moves to the Optus Stadium as the Perth Scorchers try and salvage a faltering campaign as they face the Sydney Thunder. Both teams are coming off a loss in their previous match and are looking for two valuable points to keep their semi-final hopes alive. With the high scoring nature of the Optus Stadium pitch, this match is sure to enthrall one and all. Shaun Marsh, Mitchell Marsh and Jason Behrendorff are back in the Perth squad with all three players coming back from national duty. David Willey has left the side for national duties and should be replaced for the match. Shaun Marsh's inclusion should see Bancroft bat at number three and Ashton Turner at number four. Possible XI: Klinger, S. Marsh, Bancroft (WK), Turner, M. Marsh(C), Cartwright, Coulter-Nile, Tye, Kelly, Behrendorff and Qadir. Jay Lenton is injured for this match and should be replaced by either Matt Gilkes or Baxter Holt. Arjun Nair and Jono Cook aren't included in the squad with Nathan McAndrew having a chance of playing this crucial match. Possible XI: Devcich, Waston(C), Ferguson, Sangha, Sams, Gilkes(WK), Holt/Rainbird, Green, Jordan, Fawad and Sandhu. Wicket-keeper: Cameron Bancroft should be the ideal pick for this slot with uncertainty surrounding the vacant keeper spot in the Thunders' line up. Bancroft has been in good form as well and should rake in a good number of points. Batsmen: Shane Watson and Shaun Marsh are must haves in the team with their penchant for big scores at the top of the order. Marsh has been in sensational form throughout the ODI series against India and should continue to perform in the same manner. Ashton Turner and Callum Ferguson are also useful options with a flat deck on offer. All-rounders: Mitchell Marsh, Daniel Sams and Anton Devcich are three very good all-rounders to have in any fantasy team. Out of the three, Anton Devcich is one to look out for with the Kiwi looking to tee off in this BBL with a blistering knock. Bowlers: Nathan Coulter-Nile was brilliant with his pinch hitting and death bowling which almost took Perth over the line last time. Along with Chris Jordan and Fawad Ahmed, Coulter-Nile would also prove to be a worth-while pick for your fantasy team. With a number of right-handers in the Thunder team, Usman Qadir could prove to be a very handy pick. Captain: Shaun Marsh's form makes him the front-runner for captain, although the likes of Anton Devcich and Ashton Turner would also be in the reckoning. 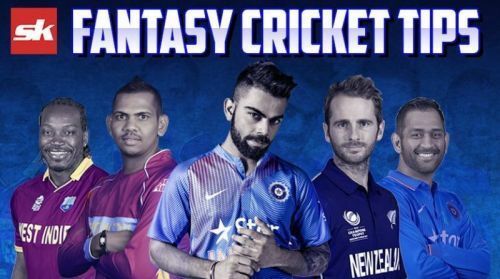 Fantasy Suggestion #1: Cameron Bancroft (WK), Shaun Marsh, Callum Ferguson, Shane Watson, Mitchell Marsh, Daniel Sams, Jason Behrendorff, Anton Devcich, Nathan Coulter-Nile, Usman Qadir and Fawad Ahmed. Captain: Shaun Marsh. Fantasy Suggestion #2: Cameron Bancroft (WK), Shaun Marsh, Jason Sangha, Callum Ferguson, Micheal Klinger, Daniel Sams, Anton Devcich, Andre Tye, Nathan Coulter-Nile, Chris Jordan and Fawad Ahmed. Captain: Anton Devcich.